CWDM, as an established optical transport technology, is universally employed in optical network for transmission distance extension and fiber exhaust reduction. This technology has evolved for years and now is available for Fiber Channel applications with the rate up to 4.25Gb/s. Moreover, when compared with traditional transmission approach via multiple fibers, embedded CWDM technology also makes economic sense while used in 4G Fiber Channels, and that’s what we are going to address in this article. The 4G Fiber Channel effectively improves storage area networks (SANs) performance by doubling speed and offering backward compatibility with 2G and 1G systems. With the proliferation of bandwidth-extensive applications, fiber capacity is on the edge of exhaustion. However, the demand for extremely high-capacity data transmissions began to soar. In this case, it is critical for IT technicians to enhance Fiber Channel SAN capacity without increasing costs. CWDM technology expands fiber capacity by multiplexing optical light signals of different wavelength on a single optical fiber. In a CWDM network, components like CWDM Mux/Demux and CWDM transceivers are indispensable. With CWDM, IP data (Gigabit Ethernet or 10G Ethernet) and storage data (4G/2G/1G Fiber Channel) can be transported over a single fiber infrastructure, eliminating the need for complex protocol conversion. Until now, standalone CWDM solutions are the commonly used methods to transport LAN connections and SAN connections simultaneously between main and recovery sites. Despite that it generates high equipment cost and reduces system reliability. In this case, embedded CWDM emerges as an ideal alternative for use in Fiber Channel applications. Embedded CWDM integrates CWDM optics (like CWDM SFP transceivers) directly into the Fiber Channel switch or Ethernet router, offering better reliability and simplicity. Thus instead of laying more fibers and equipment, users can extend system capacity only by adding new CWDM SFPs, which greatly reduces human labor and overall expenditure. While used for SAN distance extension, CWDM functions to reduce the amount of required WAN fibers. Here we take the example of a SAN extension between a primary site and secondary site. With solution A, the implementation requires several WAN fibers to get the capacity required. As for solution B, CWDM is adopted to multiplex several signals onto a single fiber pair. CWDM SFPs are directly plugged into the ports from the Fiber Channel switch to generate signals of specific CWDM wavelength. The CWDM Mux combines wavelengths onto a fiber pair, while the CWDM Demux splits these wavelengths into several fiber on the receiver site. Thus the number of required WAN fibers is reduced by the number of wavelengths used. Embedded CWDM system is easier to operate, which requires no additional network management or training. It introduces more reliability, flexibility and simplicity due to fewer components involved in the system. And its advantages become more evident when it comes to cost: Embedded CWDM solution simply offers lower investment expenditure and operation cost, since it removes the need for adding new fibers and equipment, which can be cost-prohibitive. Even that CWDM SFPs and CWDM Mux/Demux should be involved in CWDM system, the overall cost is just a fraction of multiple fiber transmission. CWDM solution allows IT managers to achieve network capacity expansion in a more cost-effective, simplified and flexible way. Besides, it also provides enhanced performance and reliability for current need and future growth. For more CWDM solutions and information, visit www.fs.com or contact us via sales@fs.com. This entry was posted in WDM Optical Network and tagged 4G Fiber Channel, CWDM Mux/Demux, CWDM SFP, embedded CWDM on June 9, 2017 by Aria Zhu. As a passive technology, CWDM allows for any protocol to be transported over fiber optic link at specific wavelengths. CWDM technology is a cost-effective and simple method to increase the capacities of fiber optic network, by using different wavelengths to carry different signals over a single optical fiber. The wide deployment of CWDM network is greatly driven by its affordable cost. What Is Need for A 10G CWDM Network? The deployment of a 10G CWDM network is relaying on the exiting fiber optic network. Adding some components on the existing network can largely increase its capacity for data transmission. Here will introduce the key component and an important step during 10G CWDM network deployment. A key component should be deployed is CWDM Mux/Demux, which combines different wavelength signals from different optical fibers into a single optical fiber, or separates different wavelength signals coming from a single optical fiber to separate optical fibers. The Channel number of a CWDM Mux/Demux is an important factor to divide this device. Standards have identified 18 CWDM Channels. Most of the CWDM Mux/Demux are provided with Channel number range from 2 to 16. However, FS.COM provides a 18-Channel CWDM Mux/Demux which can increase capacity of CWDM network to the most. 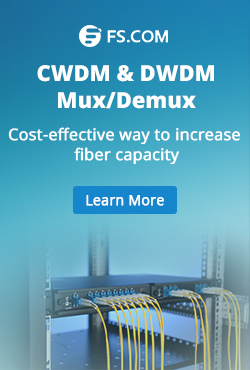 CWDM Mux/Demuxs also come into a variety of package form factors. The most commonly used are LGX design, rack design and pigtail design. Connecting CWDM Mux/Demux with a 10G switch, is the most important step to build a 10G CWDM network. 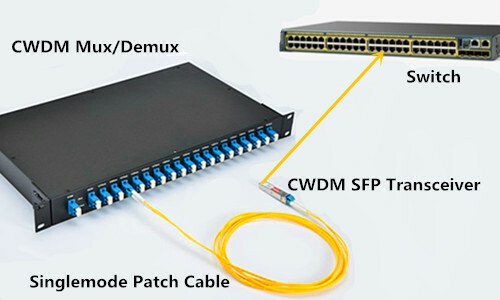 In simple, to add more devices on the fiber optic network by CWDM technology is to connect the CWDM Mux/Demux with the 10G switches which are linked to the end users. To link CWDM Mux/Demux with the switches, fiber patch cable and 10G CWDM SFP+ transceiver are needed. 10G CWDM SFP+ transceiver should be installed on the switch SFP+ port (some switches use XFP port, then 10G CWDM XFP transceiver is required). Then a length of fiber patch cable should be used to link the transceiver and CWDM Mux/Demux. How to Select to Right 10G CWDM SFP+ Transceivers? Choose the Right Working Wavelength: To ensure the right connection, the specific wavelength port should be connected to the same wavelength CWDM SFP+ transceivers. For example, the port on the CWDM Mux/Demux marked with 1270 nm, should be connected to a CWDM SFP+ transceiver that working over wavelength of 1270 nm. As there are 18 different CWDM wavelengths, 10G CWDM SFP+ transceivers that are provided in the market also can 18 different versions for these wavelengths. Choose the Compatible CWDM SFP+: It is common sense that the fiber optic transceiver should be compatible with the switch which it works on. For instance, if you are using a Cisco switch, the fiber optic transceivers that you used with this switch should be original Cisco transceivers or Cisco compatible transceivers which are provided by third party vendors. 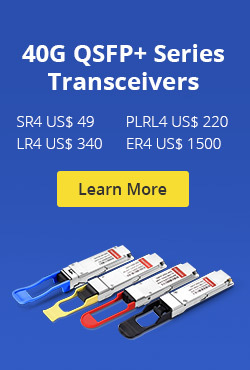 The latter is usually the choice of many companies, this is because third party transceivers are usually more cheap than the original brand transceivers. Fiber optic transceivers provided by third party vendor like FS.COM are all fully tested on original brand switch to ensure their compatibility and quality. 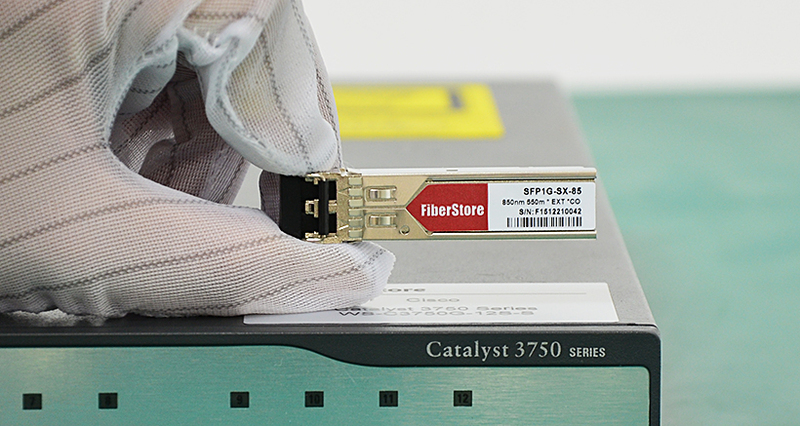 What’s more, most of FS.COM fiber optic transceivers support same day shipping. Select the right SFP do not only cut your cost and time, but also provide high network performance. Choose the Transmission Distance According to Your Needs: CWDM network is usually deployed for long distance transmission. Thus the 10G CWDM SFP+ transceiver that are provided in the market usually support transmission distance longer than 20 km, some can support link length up to 80 km or more. You can select the 10G CWDM SFP+ according to your requirements. Here list the generic whole band 10G CWDM SFP+ fiber optic transceivers that support link length of 20km, 40km and 60km. If you need the brand compatible CWDM SFP+, kindly contact sales@fs.com or visit FS.COM for more details. This entry was posted in CWDM & DWDM Mux Demux, How To, Optical Transceiver Solution, WDM Optical Network and tagged 10G CWDM network, CWDM Mux/Demux, CWDM SFP on July 8, 2016 by Alice Gui. Cisco Catalyst 3750 series switches are widely used in today’s access layer of the network, which can provide Ethernet speed of Gigabit. There are a variety of configurations in this series of Cisco switches. They can fit different applications and offering forward data rates from 32G to 128G by using Cisco StackWise technology. It is an economical solution to many midsize enterprises and office. However, to make full use of these switches, how to connect them to network becomes very important. This post will illustrate Cisco Catalyst 3750 series switches connection in details. Do You Know Cisco Catalyst Series Switches? The ports on switches decide what types of connectors and cables can be connected with the switches. Thus, let’s get a close look at Cisco Catalyst 3750 switches ports details first. As mentioned, one of the biggest advantages is that Cisco Catalyst 3750 can support Cisco StackWise technology. Up to nice physical Catalyst 3750 switches can be interconnected into one logical switch with a high performance of 32G or 128G. This is largely depending on the StackWise ports on the rear panel of the switch as shown in the following picture. Another great advantage of Cisco Catalyst 3750 switch is its great flexibility and adaptability owning to its various configurations. The Ethernet ports of Cisco Catalyst 3750 can support data rage from 10M to 1G. For instance, or example, Cisco Catalyst 3750G-12S contains 12 SFP ports, Cisco Catalyst 3750G-24TS-1U has 24 Ethernet 10/100/1000 ports plus 4 SFP uplinks in 1 rack unit (RU) height, Cisco Catalyst 3750G-48PS is armed with 48 Ethernet 10/100/1000 ports with IEEE 802.3af PoE and 4 SFP uplinks. The following picture shows the detailed ports information of Cisco Catalyst 3750G-48TS, which has 48 Ethernet 10/100/1000 ports and 4 SFP uplinks. There are mainly two types of ports on Cisco Catalyst 3750 switches: RJ45 and SFP. Different cables and connectors are used to connect the switches to network. The following will offer detailed information about how to connect these ports. 10/100/1000 Ports on Cisco Catalyst 3750 are RJ45 ports, which should be connected with copper cables (as shown in the following picture). For different applications, the cable types are also different. For example, when connecting Cisco Catalyst 3750 to workstation, servers, router, the straight-through cables are suggested to use with RJ45 connector. When it the switch is connected to repeaters, crossover cable is recommended. When connecting to 1000Base-T-compatible devices, be sure to use a twisted four-pair, Cat5 cable. Most Cisco Catalyst 3750 switches have several SFP ports on their front panel. They can support Gigabit Ethernet, by using SFP modules related. Both copper and fiber optic links can be built with these ports and SFP modules. If connected with fiber optic 1000Base-LX or 1000Base-SX SFP modules a link supporting Gigabit Ethernet based on fiber optic can be built. If connected with copper SFP module like 1000Base-T, a copper link will be built. The following picture illustrates the connections with fiber optic SFP module port and Copper SFP module port from left to right separately. More related cables and modules that Cisco Catalyst 3750 switches supporting are listed in the following chart for your reference. All the above mentioned products are fully tested in FS.COM Test Center. Please contact sales@fs.com for more details. This entry was posted in Fiber Cabling, Network Solutions, Optical Transceiver Solution and tagged 1000BASE-LX, 1000BASE-SX, 1000Base-T, Cisco Catalyst 3750, CWDM SFP, GLC-BX-D, GLC-GE-100FX, GLC-SX-MMD, RJ45, StackWise on March 12, 2016 by Alice Gui. CWDM is an optical technology for transmitting up to 16 channels, each in a separate wavelength or color, over the same fiber strand. The CWDM solutions help enable enter-prises and service providers to increase the bandwidth of an existing Gigabit Ethernet optical infrastructure without adding new fiber strands. Unlike DWDM, which can transmit up to 160 channels on the same fiber by tightly packing them, CWDM technology relies on wider spacing between channels. this design makes CWDM a relatively inexpensive technology for transmitting multiple gigabit-per-second signals on a single fiber strand as compared with DWDM because it can support less-sophisticated, and therefore cheaper, transceiver designs. In the point-to-point configuration shown in Figure 1-1, two rndpoints are directly connected through a fiber link. The ITU has standardized a 20-nm channel-spacing grid for use with CWDM, using the wavelengths between 1310 nm and 1610 nm. 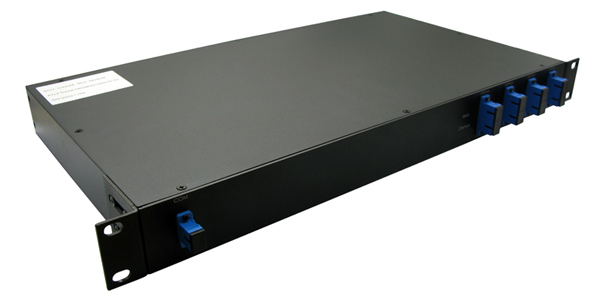 Most CWDM systems support eight channels in the 1470-to 1610-nm range. The Fiberstore CWDM Gigabit Interface Converter small form-factor pluggable(SFP) solution allows organizations to add or drop as many as eight channels (Gigabit Ethernet or Fibre Channel) into a pair of single-mode (SM) fiber strands. As a result, the need for additional fiber is minimized. You can create redundant point-to-point links by adding or dropping redundant channels into a second pair of SM fiber strands. CWDM Multiplexer is achieved thruogh special passive (nonpowered) glass devices known as filters. The filters act as prisms, directing lights from many incoming and outgoing fibers (client ports) to a common transmit and receive trunk pots. Optical multiplexing in a ring with CWDM networks is supported with optical add/drop multiplexers (OADM). OADMs can drop off one or more CWDM wavelengths at a specific location and replace that signal with one or more diferent outbound signals. The Fiberstore CWDM GBIC/SFP solution has two main components: a set of eight different pluggable transceivers (Fiberstore CWDM GBICs and CWDM SFP), and a set of different Fiberstore CWDM passive multiplexers/demultiplexers or OADMs. Both the transceivers and the passive multiplexers are compliant with the CWDM grid defined in the standards. CWDM can be used by enterprises on leased dark fiber to increase capacity (for example, from 1 Gbps to 8 Gbps or 16 Gbps) over metro-area distances. One problem with CWDM is that the wavelengths are not compatible with erbium-doped fiber amplifier (EDFA) technology, which amplifies all light signals within their frequency range. CWDM supports up to a 30 -dB power budget on an SM fiber. This restricts the distances over which CWDM may be used. CWDM supports distances of approximately 60 miles (100km) in a point-to-point topology and about 25 miles (40 km) in a ring topology. in some areas, service providers use CWDM to provide lambda or wavelength services. A lambda service is where a provider manages equipment and multiplexes customer traffic onto one or more wavelengths for a high-speed connection, typically bet ween two or more points. DWDM is a core technology in an optical transport network. The concepts of DWDM are similar to those for CWDM. However, DWDM spaces the wavelengths more tightly, yielding up to 160 channels. The tighter channel spacing in DWDM requires more sophisticated, precise,and therefore more expensive transceiver designs. In a service provider is backbone network, the majority of embedded fiber is standard SM fiber with high dispersion in the 1550-nm wubdiw, DWDM supports 32 or more channels in the narrow band around 1550 nm at 100-GHz spacing, or about 0.8 nm, as illustrated in Figure1-2. Because of the EDFA compatibility of the wavelenths used, DWDM is also available over much longer distances than CWDM and supports metropolitan-area network (MAN) and WAN applications. In practice, signals can travel for up to 75 miles (120 km) between amplifiers if fiber with EDFA is used. At distances of 375 miles (600 km) to 600 miles (1000 km), the signal must be regenerated. DWDM can be used as a high-speed enterprise WAN connectivity service. Typical DWDM uses include connectivity between sites and data centers for example 1-, 2-, or 4- Gbps Fiber channel; IBMfiber connectivity (FICON) and Enterprise System Connection(ESCON); and Gigabit and 10 Gigabit Ethernet. Protection options include client-side safeguards using rerouting, an optical splitter that allows the signal to go both ways around a ring or line-card-based protection that detects boss of signal and wraps. This entry was posted in WDM Optical Network and tagged CWDM multiplexer, CWDM SFP, CWDM technology on June 24, 2014 by Admin.